My husband and I just finished painting and putting up wainscoting in our entry way and up the stairs to the second floor. Now I have always hated my second floor because it is small and has no zing or bam or personality. I just saw a bunch of doors. Doors to the 3 bedrooms, a closet door, bathroom door and the door to the attic! 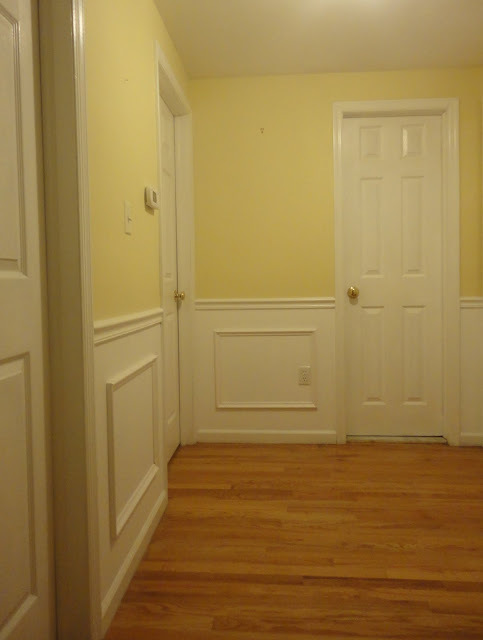 Wall color is Benjamin Moore's Philadelphia Cream in a satin finish. Now I love it when I reach the top of the stairs!! 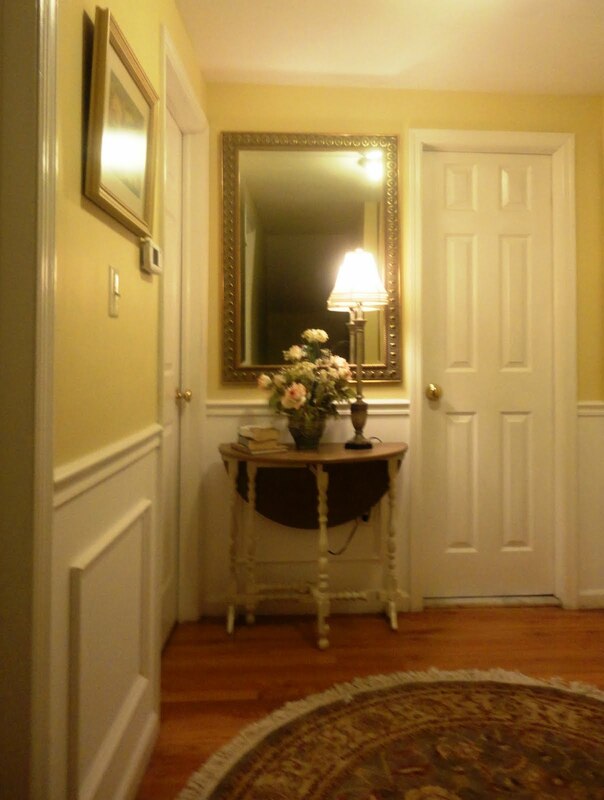 The mirror adds the illusion of a larger space...same thing is true for the circular rug. The light on the table along with some casual books for reading creates a vignette which makes the space feel warm and inviting. And I only paid $10 for the carpet at a yard sale...the rest of the items were cast-offs from my sister's home. When she saw the above "after" photos she wrote me that she wanted her stuff back!! !